Welcome to Crumbs by Roxy! We absolutely love cakes, cupcakes, cakepops, and other delicacies, and use the finest ingredients to make sure our customers' treats taste as good as they look. At Crumbs by Roxy, we go by quality, NOT quantity, and strive to customize each dessert to the liking of our customers.Our bakery offers a high selection of flavors, fillings, etc. making each order a creative and unique one. For us, options and ideas are limitless! All of our produce is made in-house by our team of highly skilled bakers and pastry chefs and the amazing smells draw in people from miles around! (not to mention our rum cakes are the best). We've been in business for many years and are a key member of our local community, with everyday regulars and new customers coming back time after time. 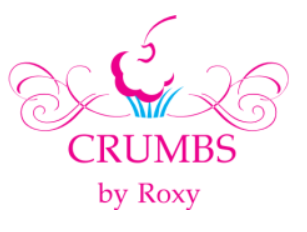 Order Crumbs by Roxy, because we care, and offer the tastiest and prettiest pastries you can find in South Florida!